GPS, GIS, U.S. Public Land Survey System corner monumentation, property and boundary surveys, environmental surveys, street construction & supervision, commercial and residential building site planning and construction, volumetric studies, railroad ROW and construction, archeological surveys, and hydrographic surveys. Photogrammetric mapping and flight planning. We have been a 100% computerized operation for 16 years, and a leader in Real-Time GPS surveying for 12 years, using the latest high accuracy Leica GPS system 1200 equipment with the WISCORS Network RTKnet. We have the capabilities to generate field reduction of data, do computations, and share data on the spot when required. 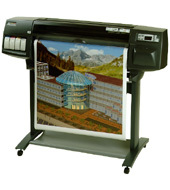 We can provide electronic data to your office in most formats, including any ASCII, AutoCAD.DWG, .DXF, and of course, do hard plots in color on our high quality HP 1050 C, up to E size (36" X 108"). We routinely do least squares adjustment of data. Certified SCUBA diver. Honda ATV-based platform. 17 years of construction experience. We build it right!